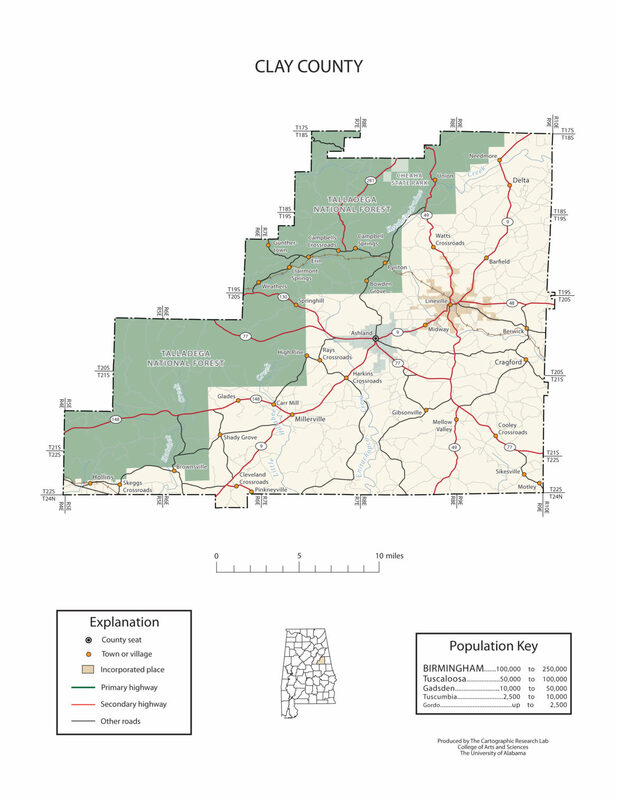 Clay County population is 13,932. Its county seat is Ashland, Alabama. Its name is in honor of Henry Clay, famous American statesman, member of the United States Senate from Kentucky and United States Secretary of State in the 19th century. Clay County was formed for geographic reasons. The citizens of the area had a difficult time reaching the county seat of Wedowee in Randolph County because of the Tallapoosa River to the east. Talladega was difficult to reach because of the intervening mountains. 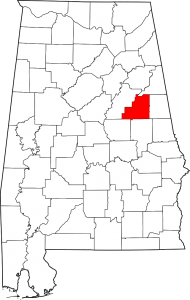 Even today, Clay County is one of only three counties in Alabama to have no U.S. Highways in its boundaries.